Exposure to radiation might be dangerous but how concerned are people? Most of us pay close attention to what we eat and over the past few years, we’ve observed the health food hype. Trying to keep fit and work out as often as we can puts pressure on us. Healthy lifestyles are becoming our goal, in an attempt to take control of our lives. On the other hand, we are addicted to our smartphones, laptops and tablets. We seem to forget that new technology has its dark side — all mobile devices emit radiation and the human body absorbs it. Shops selling organic and environmentally friendly produce exist, so where does environmentally friendly technology fit in? Smartphones, an integral part of life. Prospects for the future are not uplifting. Statistics show that technology is becoming an addiction, especially when it comes to smartphones. In 2017, Americans will spend about 400% more time using their smartphones than they did in 2011. In Germany sales of mobile phones have increased about 20% per year since 2010. In America 1 in 10 people can’t stand an hour without looking on the mobile phone. The same trend is present in other Western societies. Did you know that more than 71% of us sleep with our smartphones nearby? 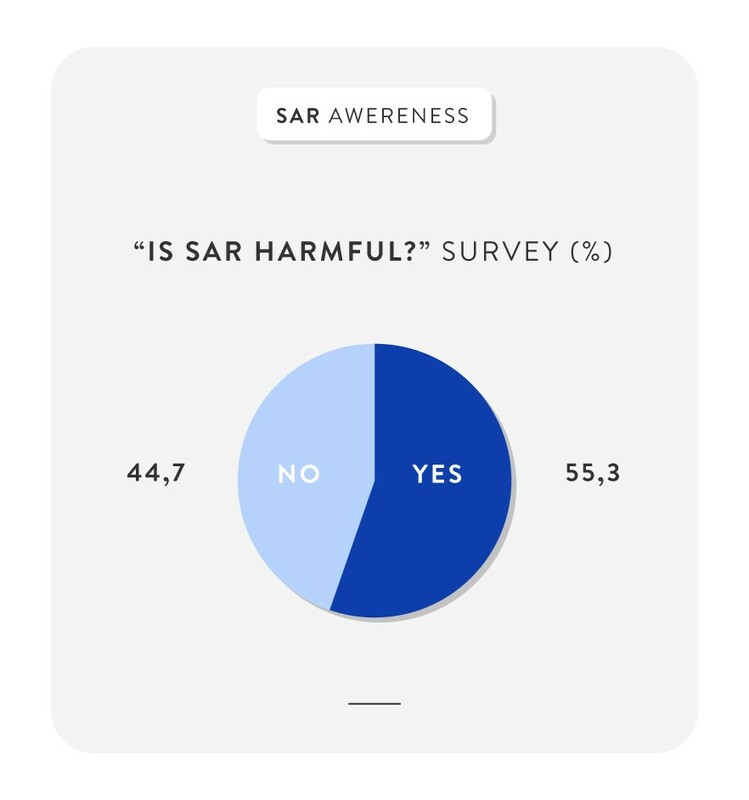 What do we actually know about SAR? On our blog, we’ve already written about the fact that radiation might cause ailments and diseases: from headaches and memory loss to impairment of the immune system, problems with children’s development, chronic fatigue syndrome, brain tumors and genetic damage. The research on radiation is still a work in progress, mobile phone radiation isn’t a topic explored regularly offline. Online, however, you can you find a number of websites voicing the negative impact of mobile phone radiation. It’s probably because there’s no scientific conclusion, based on empirical evidence, that electromagnetic radiation is responsible for so many health problems. Social awareness, is there any? According to the research conducted by the German Die Zeit, only 55% of German respondents were aware that radiation from mobile devices can negatively affect our health. The most aware were from Hamburg — around 82% of the inhabitants knew that radiation could be harmful. According to the Euromonitor International, sales of mobile devices this year will reach a peak. In 2018 there should be a small annual increase (around 1%) on the world’s mobile phone market because of global saturation.